Can I just say, this recipe is lit. I don't mean to brag or boast, but I've been trying to hone my Chinese culinary skills for a minute - and it's always been hit or miss. Today, my dear friends, we have a certified hit on our hands. I first debuted this dish on Snapchat Instagram for #MealPrepMonday, and the response was awesome. I'm all for my people, so when the recipe requests rolled in - I happily obliged. 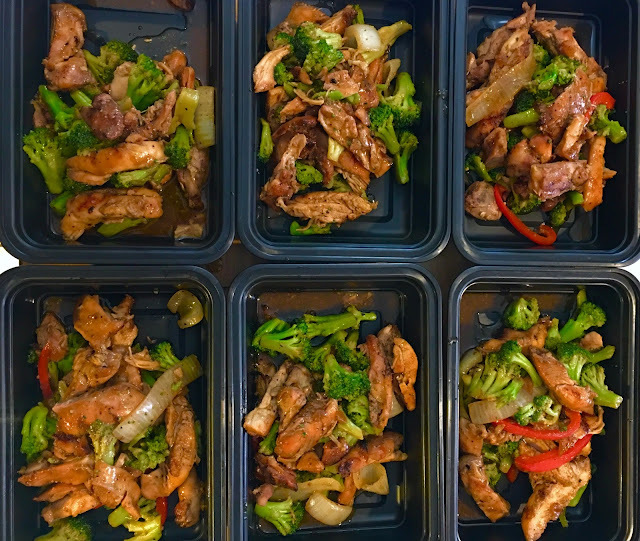 Get ready to experience a Chinese food dupe that's full of flavor, low in carbs, high in protein, a LOT healthier than the take-out version, and super easy to make. You'll be so enamored with the flavor, you won't even care there's no rice underneath. Note: The portions/amounts I'm using reflect approximately 6 meal prep servings. You can feel free to tweak/switch up the recipe to fit your macro and meal prep needs. 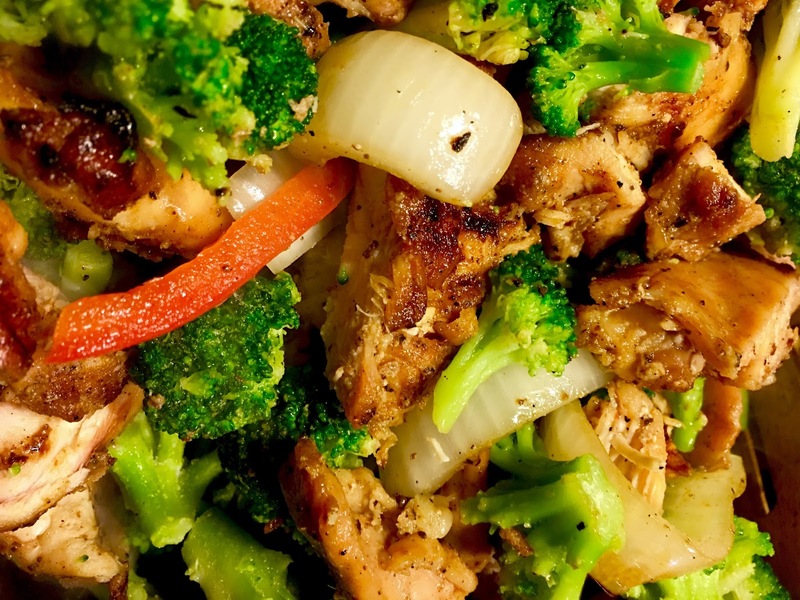 Note: to avoid introducing too much water into your stir fry, take your broccoli out of the freezer and let it thaw as you begin cooking. Or, just use fresh broccoli. First, prepare your Chinese Brown Sauce. Bring the water and Better than Bullion Reduced Sodium Chicken Base to a simmering boil. Again - you can also swap this for 2 cups of already made chicken stock if you have it. Add in your low sodium soy sauce, brown sugar, and garlic. Whisk until flavors are well blended and the sugar is dissolved completely. Add in toasted sesame oil and rice wine vinegar, again whisking until flavors are well blended. Once the flavors are well blended, grab a spoon and taste your mixture. 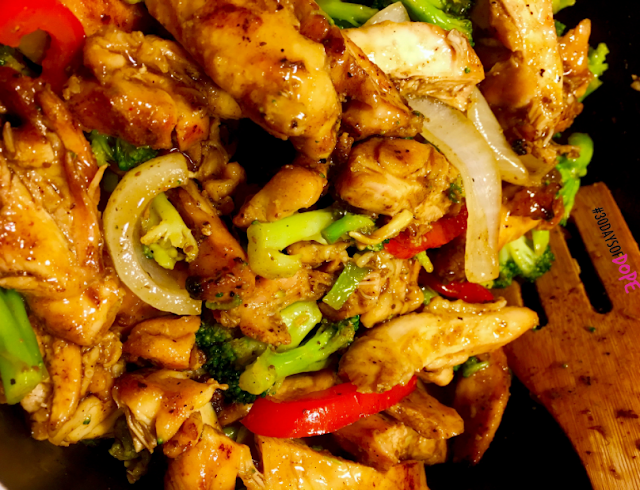 It should taste faintly of teriyaki - but more savory with only a hint of sweetness. Feel free to tweak the recipe and make it to your liking at this point - adding more soy sauce, a little ginger, red chili flakes for spice, more sesame oil, etc. However you want your sauce to taste, now's the time to add that stuff in. After you've got your brown sauce where you want it, grab a small bowl, and spoon out approximately 3 tablespoons of the brown sauce mixture. Add in your corn starch, and whisk quickly to create a slurry. Quickly add your slurry back to the sauce and stir vigorously for approximately 1 minute, to make sure the corn starch is well blended and will help thicken your sauce. Lower the heat and let the brown sauce cook until it thickens enough to coat the whisk and not immediately run off (approximately 5 minutes). At this point, turn the fire off and let your sauce cool - because it's chicken time. Stir Fry riiiiight before the brown sauce. First things first, let's season up the chicken - unlike BuzzFeed Tasty (#shade lol). Keeping the seasoning profile on this one super simple allows the Chinese Brown Sauce to really shine through. Season your chicken with Himalayan Pink Salt, coarse black pepper, granulated garlic, granulated onion, and paprika to taste. 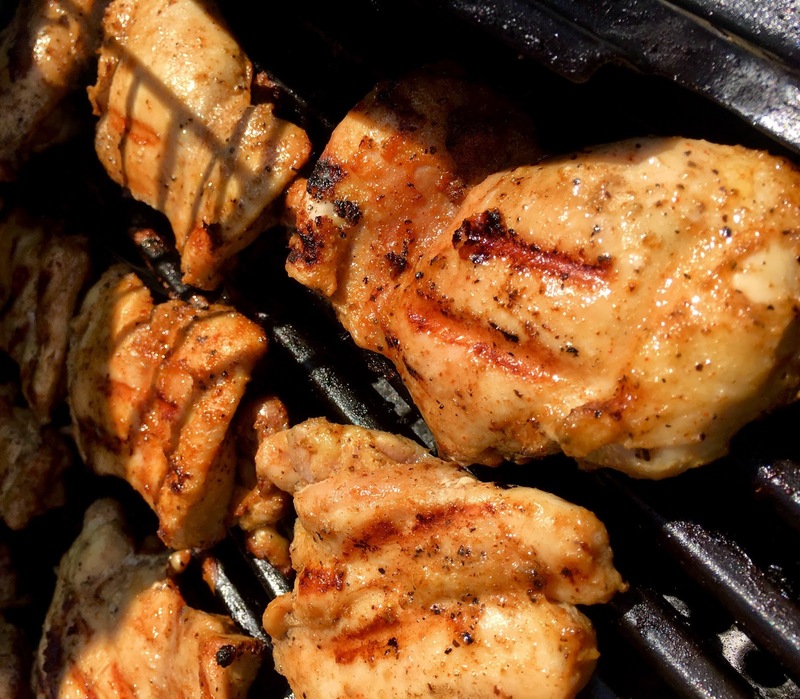 After the chicken is thoroughly seasoned, pour the grapeseed oil on and mix the chicken again for a light, even coating. Next, you've got a few options as to how to cook the bird. My personal recommendation is on an outdoor grill if you have one. The char on the chicken melds beautifully with the Chinese Brown Sauce and really makes this dish a winner. But if you can't or just don't want to, pan fry it (no oil needed) on top of the stove. After the chicken is completely cooked, let it rest and cool enough to not be super hot to the touch. After the chicken has sufficiently cooled, slice it into thick pieces and set aside. In a large pot or wok, spray cooking spray and add sliced onion and bell peppers. Sautee on medium high heat until tender. Add in slicked chicken thighs and broccoli. Stir until broccoli is tender. Add in Chinese Brown Sauce and stir until all ingredients are coated. Let it simmer, stirring occasionally for about 5-6 minutes. Portion out, or eat it directly out of the pot. Either way, enjoy! Pretty dope, right? If you try this recipe out, give me a holler on Instagram @ 30DaysofDope or let me know in the comments below! I just finished making this recipe. I substituted a few things since I had apple cider vinegar instead of rice wine vinegar and I added cabbage and Asian mushrooms but this recipe was delish!! Thanks for posting it! Yessss Monica! That sounds amazing! Glad you enjoyed it!